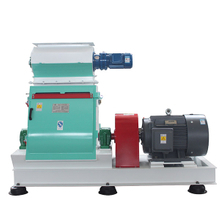 Feed Mixer - Wuxi Huamu machinery Co.,LTD. Wuxi Huamu has experienced, high quality design, production and installation troops, which can design and manufacture 1-30 T each kind of powder material, premix material, pellet material and special aquatic product material projects. 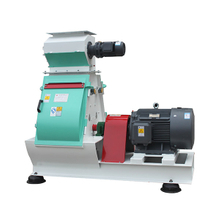 The hammer mill (also known as crusher) is a piece of pre-processing equipment for small pellet plant. It is used to pulverize the large size biomass raw material into smaller 2-5mm in diameter to be suitable for pelletizing. 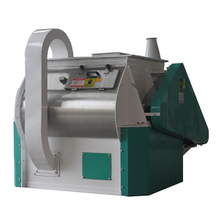 Usually the hammer mill can process soft materials as agricultural waste, or wood chips and shavings. 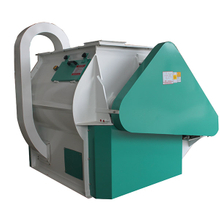 If you raise cattle, this hammer mill can also help you make animal feed from agricultural waste. 1 Rapidmixing speed, short mixing cycle, 30-90 sec/lot; high degree of uniformity,CV≤5%; and no segregation. 2 A pneumatic wide opening for unloading; fast discharging; low rate ofmaterial residues; sealed with air bag sealing strips; good sealing properties. 3 Equipped with a return pipe, no dust leakage, environmentally-friendly. 4 Specialized atomizing spraying systems can be customized; molasses andgrease are added more uniformly. 5 Widely applied to mixtures of powdery, particulate, sheet and bulk materialsin feed, food, chemical and fertilizer industries.